Don't feel bad laughing at the squirrels, at least you're feeding them. Fill this feeder with food for the squirrels to munch on, hang it up with a string (not included), and break out in laughter as it looks like they have an oversized head. Perfect for those who enjoy nature, but still what a bit of humor in their lives. 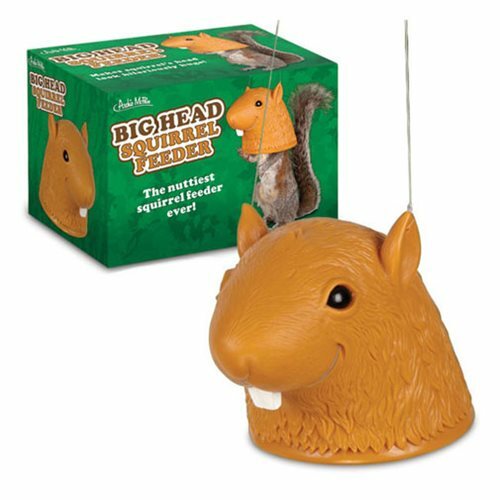 This Big Head Squirrel Feeder is made of plastic and measures about 8-inches x 5 1/2-inches.